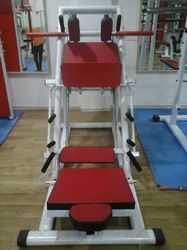 Established in the year 1997, we Y. N. Trivedi & Sons (Olympic Gym Equipment) are a reputed Manufacturer and Supplier of a wide array of Gym equipment and body building equipments. With fortitude and determination, we have become a chosen supplier of leading organizations and major gyms. Owing to our long experience, sophisticated infrastructural facilities & trained manpower we offer high quality bodybuilding and gym equipments that are known for their superior performance, durability and negligible maintenance. Further, our well equipped manufacturing unit is supported by proper marketing and distribution functions which enable us to remain at par with the ever changing demands of the clients. From the time of our inception, we are in a constructive process of better product design and development which makes our gym equipment up-to-date. 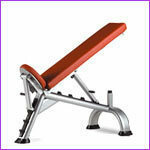 Manufacturing, Services and Trading of Gym Equipments. Being a quality conscious organization, we give at most importance to quality and thus make it very integral part of our production process. From the time of product fabrication, we make sure that every part works in tune with the other and deliver qualitative range of body building equipments. Our products are manufactured flawless keeping them at par with the international standards. Further, each test is done under the strict vigilance of quality control inspectors and doctors, making sure that they do not cause any adverse health effects. 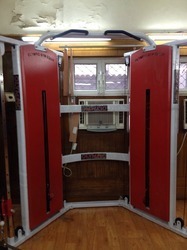 In particular, we take care of the packaging so that our gym equipment reaches the clients without any damages. We have a separate research and development division wherein efforts are put to bring about new designs and models in gym equipment. Sincere efforts are put by our R&D personnel bring complete perfection and excellence. Our modern laboratory equipped with necessary tools help in bringing out meaningful enhancements in our range of machines. Possessing latest technology and hi-tech machines ensures better research and thus hassle free production the customers. Further, our research and development department is headed by experienced research personnel, who also assist us in carrying out the necessary up gradations in our existing range that meet the specific needs of our clients. Products we offer Commercial fitness and Gym Equipment.We Provide end to end Solution of a Gym like Gym equipment,Flooring Olympic Benches,Free weight,Dumbbells,Olympic Rods.A Turnkey Solution Provides Under One Roof. Also, We are Leading Supplier of Cardio Equipment also like commercial treadmills, Cross Trainers, Spin Bikes. Sauna,Steem bath and Chilled Shower equipment also Supplied by Us.We run manufacturing Unit of Gym Equipment From 1997. We have a team of dedicated and experienced personnel who helps us in successfully meeting the varied needs of our clients. Our team supports us at every step which is why we are catering to the varied requirements of a wide spectrum of clients. We are backed by professional engineers, designers, draftsmen and a pool of quality control which assures qualitative design and manufacturing. Further, our trained and experienced technocrats, engineers, health experts, therapists and doctors helps us in providing utmost satisfaction to the customers at nominal cost. Other than these, we have R&D personnel, production managers, warehouse managers, logistics personnel, sales and marketing professionals and other skilled workmen. Supported by a coordinated team, we are always in a strong position to serve the clients at our best. We Provide Complete Gym Setup Solution. 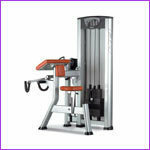 We also supply Cardio equipment like Commercial Treadmill, Cross Trainers, Spin Bikes, Exercise Cycle.